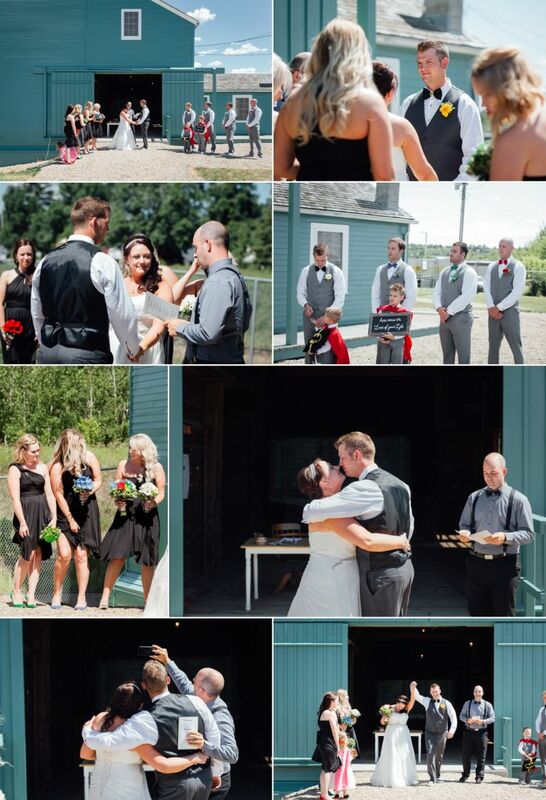 When we first met Cassie & James and heard about some of the details they were planning for their wedding at the St. Albert Grain Elevator Park, we knew this was going to be a fun wedding. Cassie & James met on Match.com after Cassie’s maid of honour setup a profile for her. Both Cassie and James enjoy having fun and wanted to go with a superhero themed wedding for their day and the details did not disappoint. 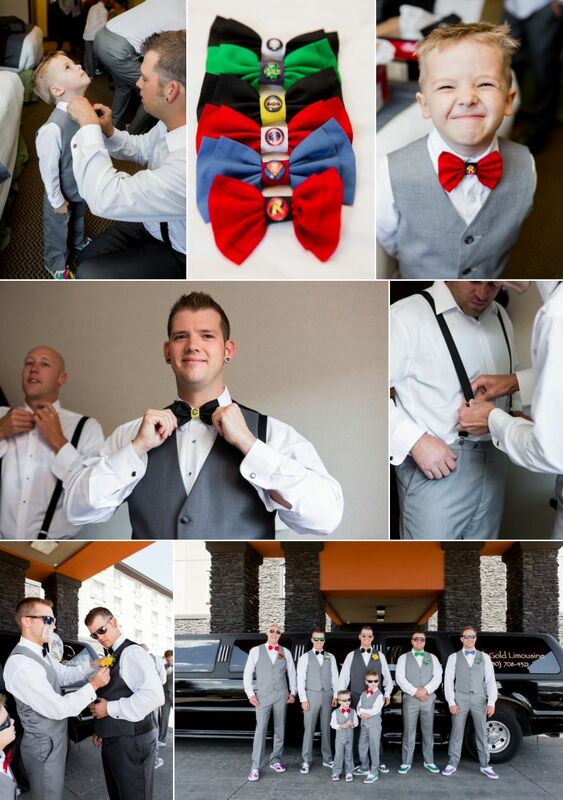 From the superhero themed bow-ties and custom Vans for the boys, to Cassie’s Batman heels and Gotham themed wedding cake – this wedding was action packed and a ton of fun. 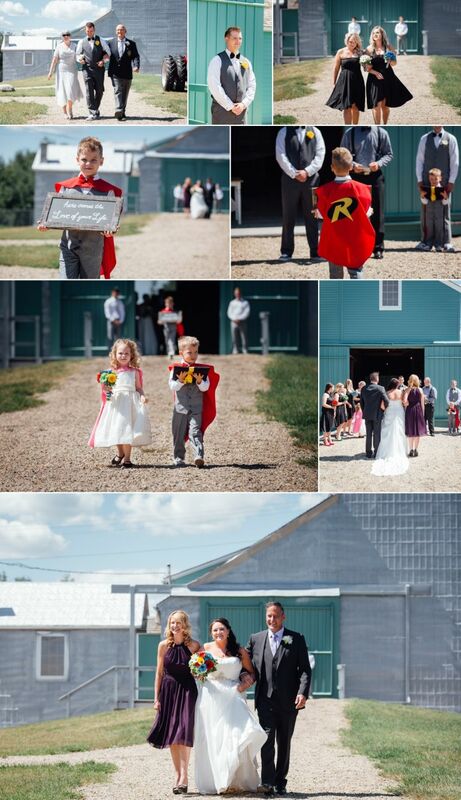 Enjoy this sneak peek from Cassie & James Superhero themed wedding in St Albert. The day started out at the Best Western in St. Albert where both the guys and girls were getting ready and this was our first peek at some of the fun details they had incorporated into making their day special and unique. Their ceremony was held at the St. Albert Grain Elevator Park and this was the first time we’ve photographed a wedding there. It offers many great locations for photography and we could have shot there all day but unfortunately another wedding party had the park booked after their ceremony so we only had enough time to photograph the ceremony and family photographs in the park. It was a beautiful ceremony officiated by their friend Tyler. Cassie & James literally had the cutest ring bearers and flower girl we’ve ever seen and they really enjoyed the superhero theme which allowed them to wear superhero capes. 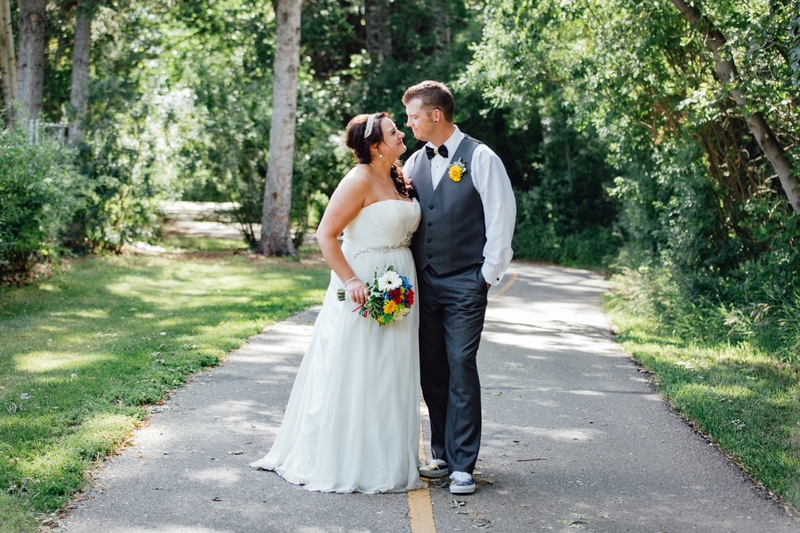 After their ceremony we headed to the St. Albert Botanical Gardens for photographs with the bridal party. We had to make sure to avoid going into the actual botanical gardens because Cassie has a severe allergic reaction to many different types of flowers and even the smell can cause her to have problems breathing. Definitely not something we want to have happen to one of our brides on her wedding day so we stuck to the outsides of the park and found some nice shady areas to escape the heat. After formals, we headed out the Morinville Community Centre for their reception where the superhero theme continued with an awesome seating chart, candy table, comic book paper flowers, and a wedding cake that featured one half traditional and the other half Batman themed. The bridesmaids were even confronted by several villains when they made their entrance but thankfully their groomsmen superheroes showed up to help save the day! 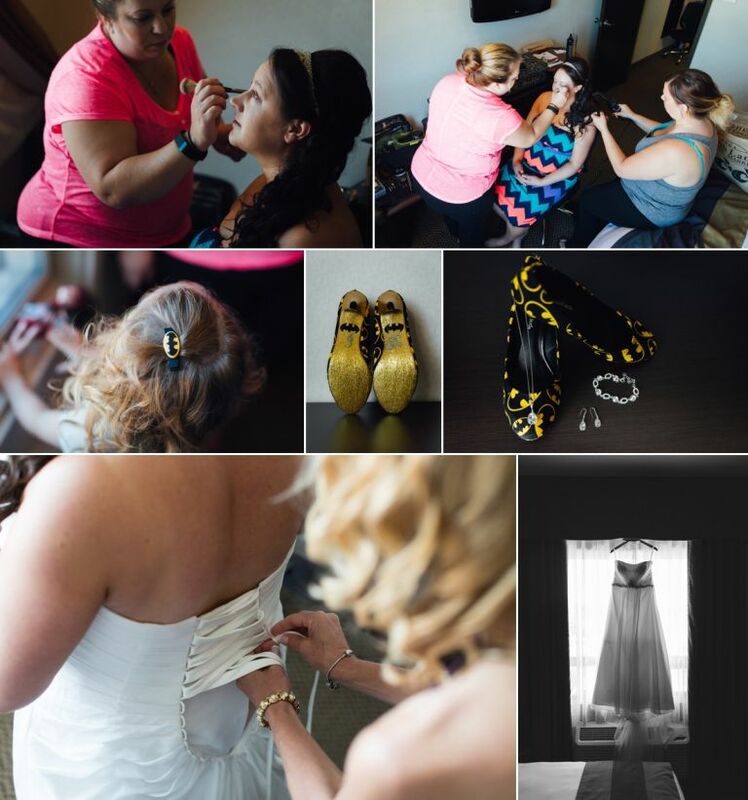 Thanks again to Cassie & James for inviting us to capture your wedding day. We can’t wait to share the rest of the photographs with you! These are awesome pics! What a great day!